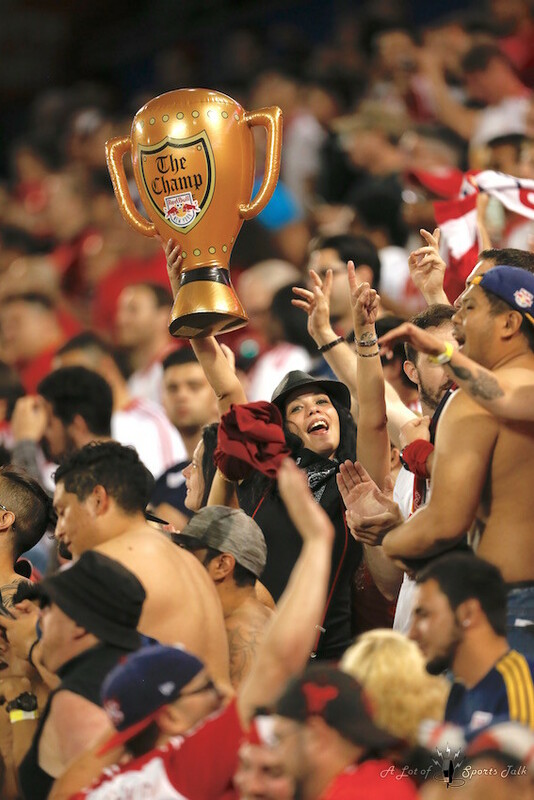 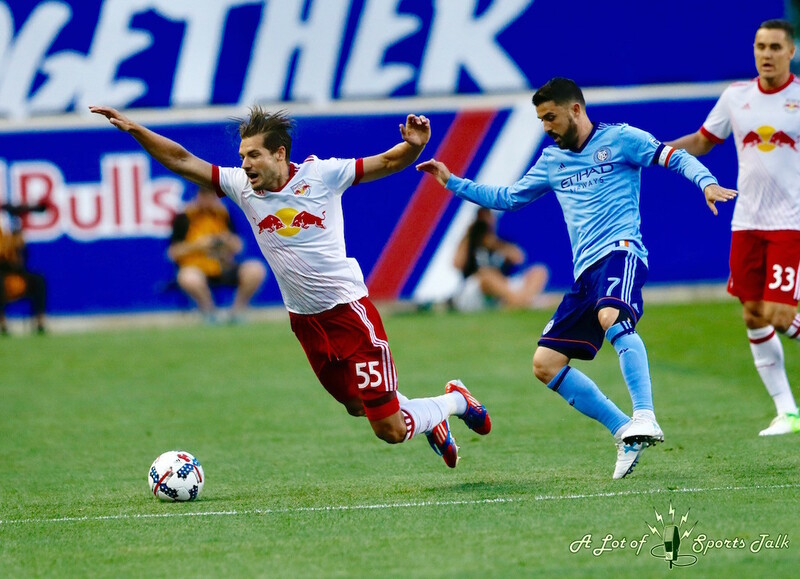 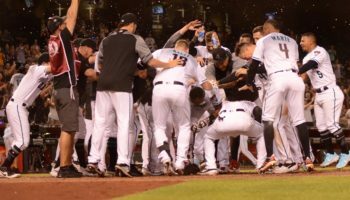 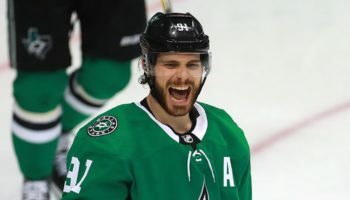 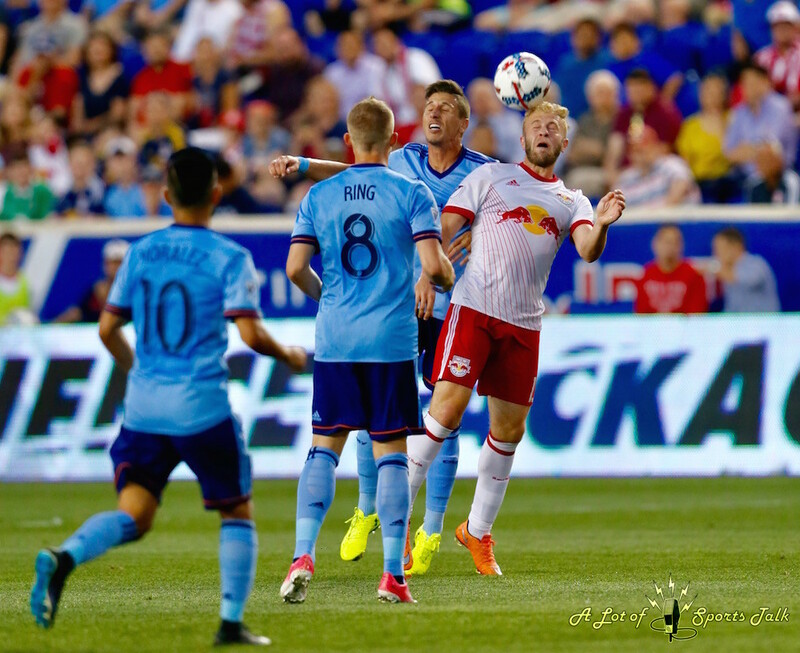 HARRISON, N.J. — Although it was a different competition led by a different head coach (for the time being), the result of the Hudson River Derby was the same – the New York Red Bulls once again found their way into the winner’s circle. 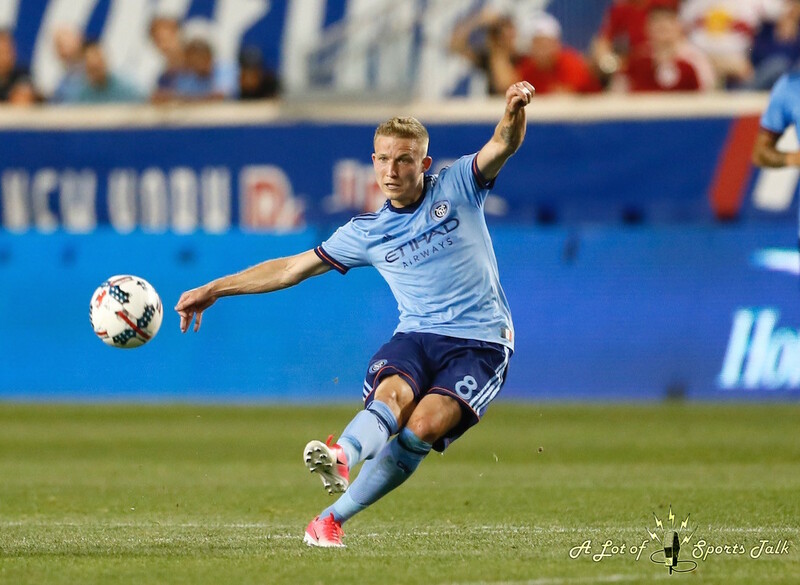 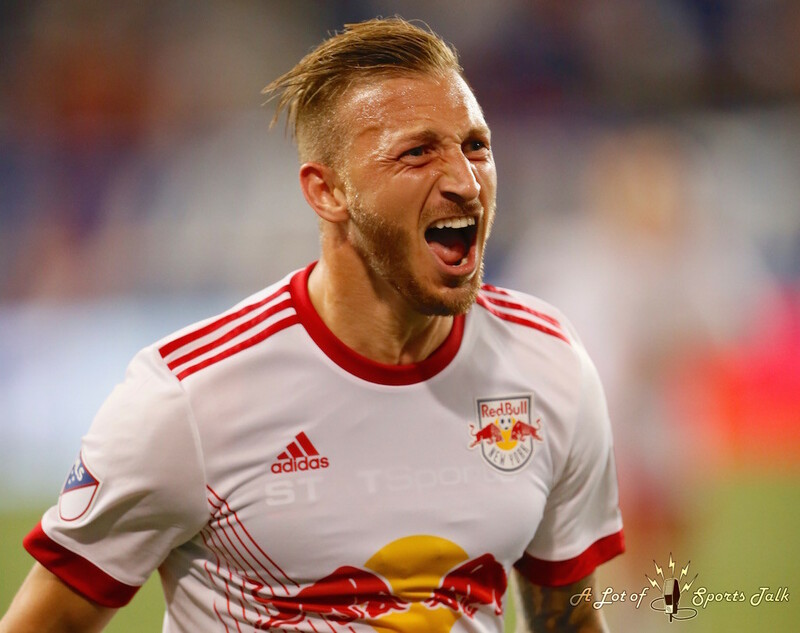 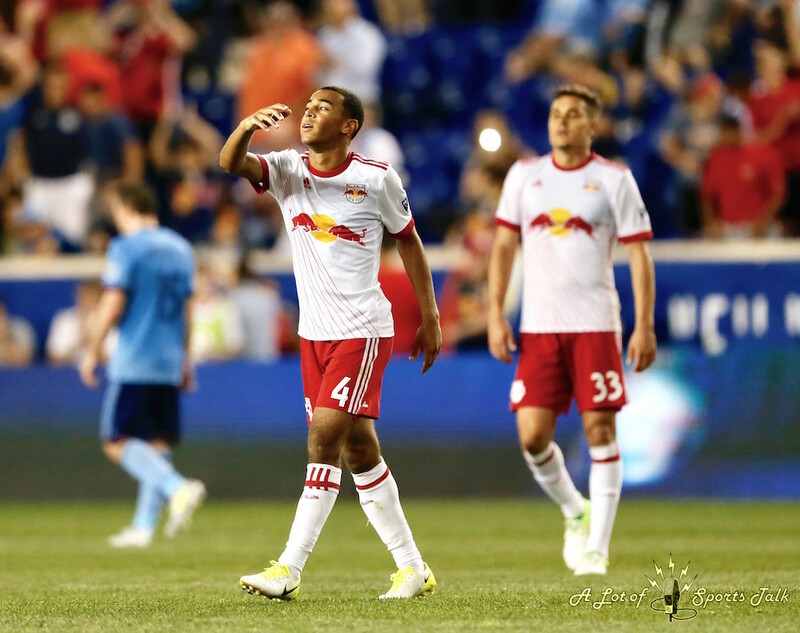 Substitute Daniel Royer scored on a well-taken volley in the 67th minute as the Red Bulls defeated New York City FC 1-0 in the fourth round of the 2017 Lamar Hunt U.S. Open Cup, with the win marking the sixth time in seven all-time meetings that Red has triumphed over Blue in the New York City rivalry. 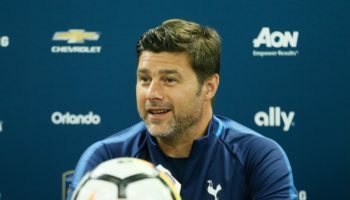 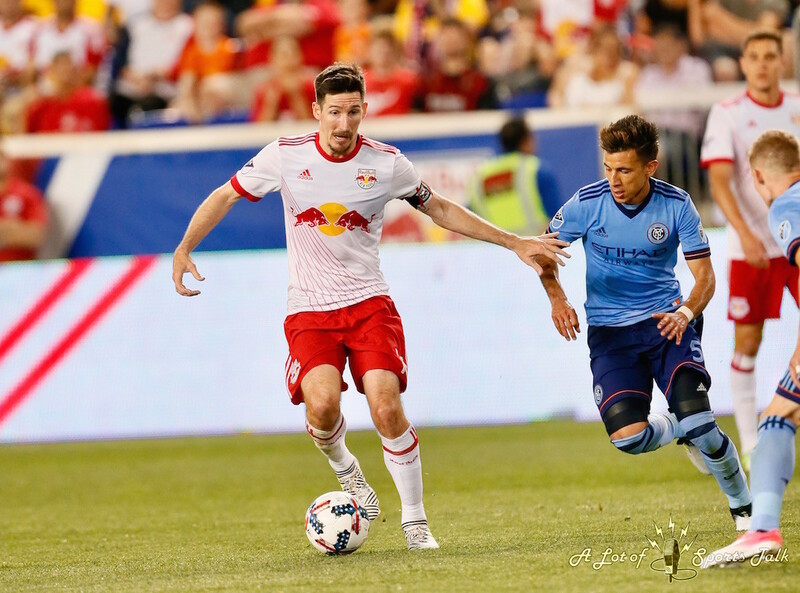 The team’s first meeting in the knockout competition was also the first time the Red Bulls entered a match with NYCFC without head coach Jesse Marsch leading them, as he was serving a one-game touchline ban following last season’s loss by the Red Bulls in the competition to the Philadelphia Union. 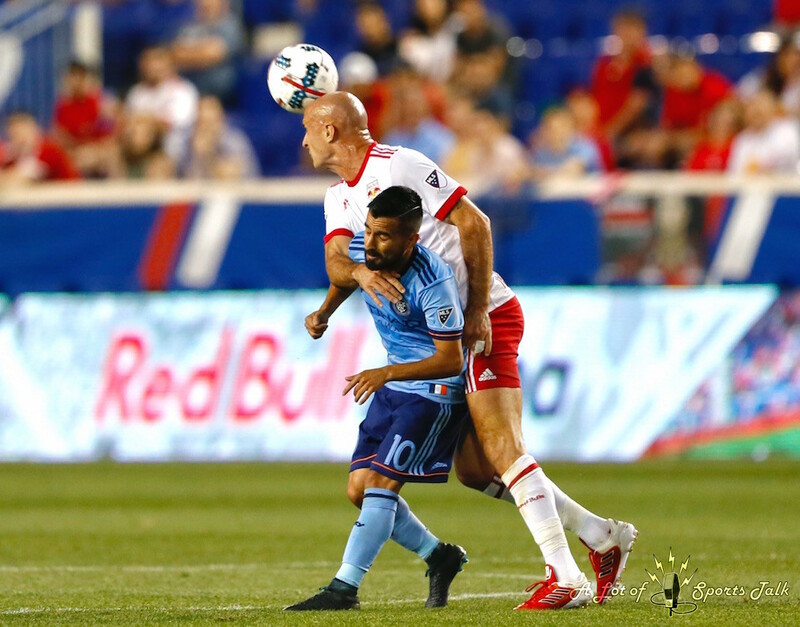 Red Bulls assistant coach and former Major League Soccer player Chris Armas, a native of the Bronx, took over the coaching duties tonight. 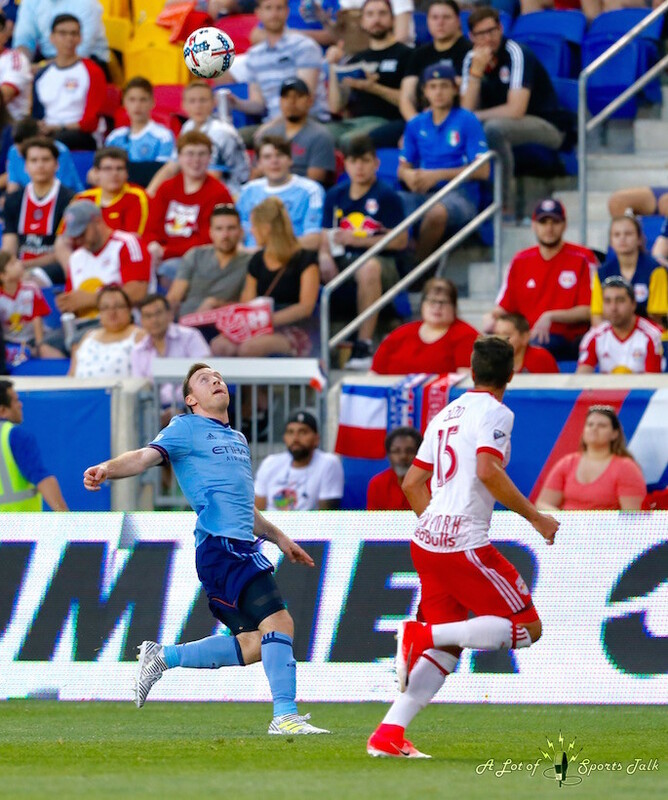 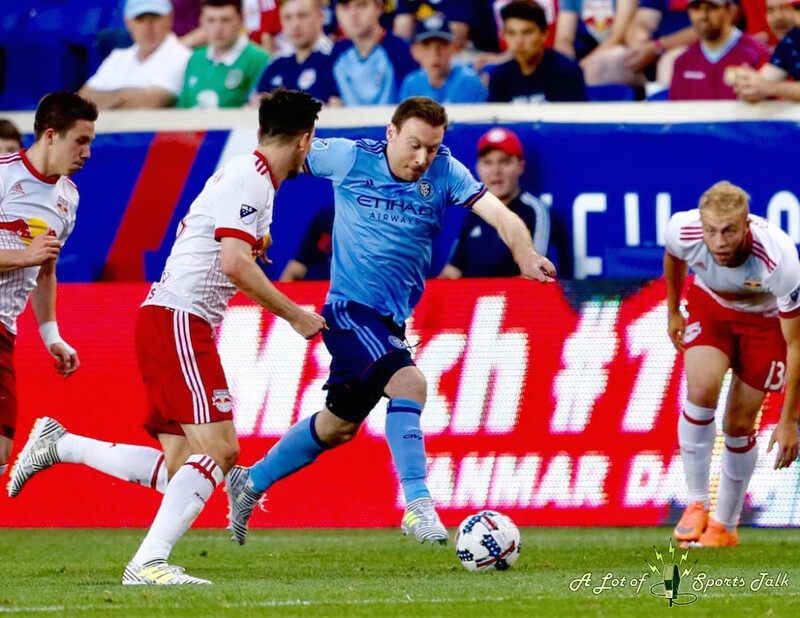 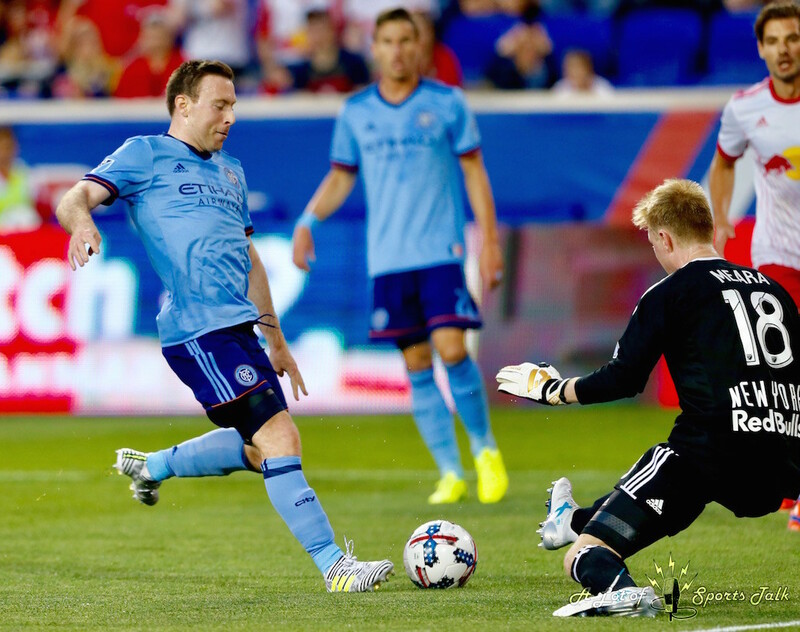 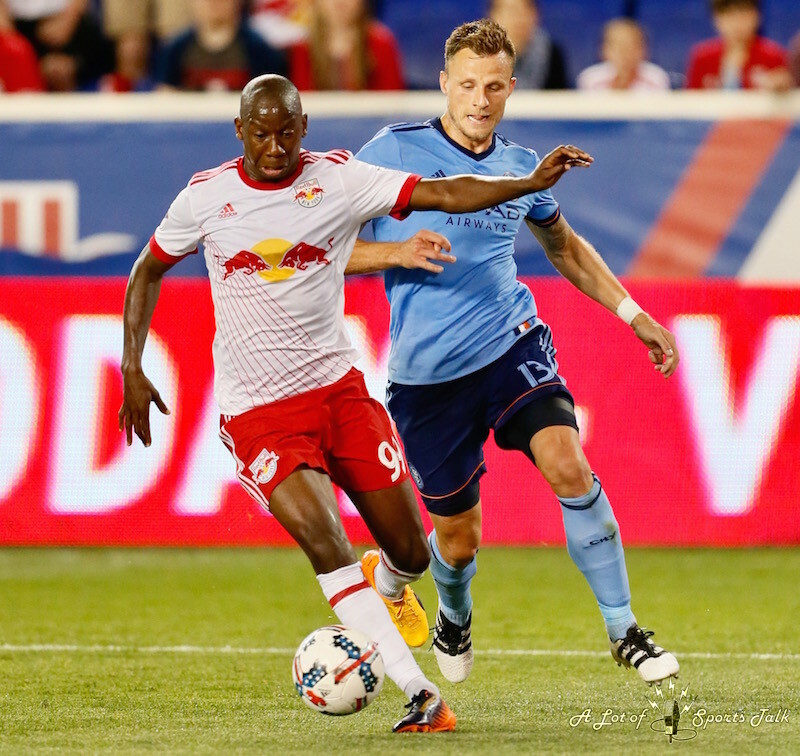 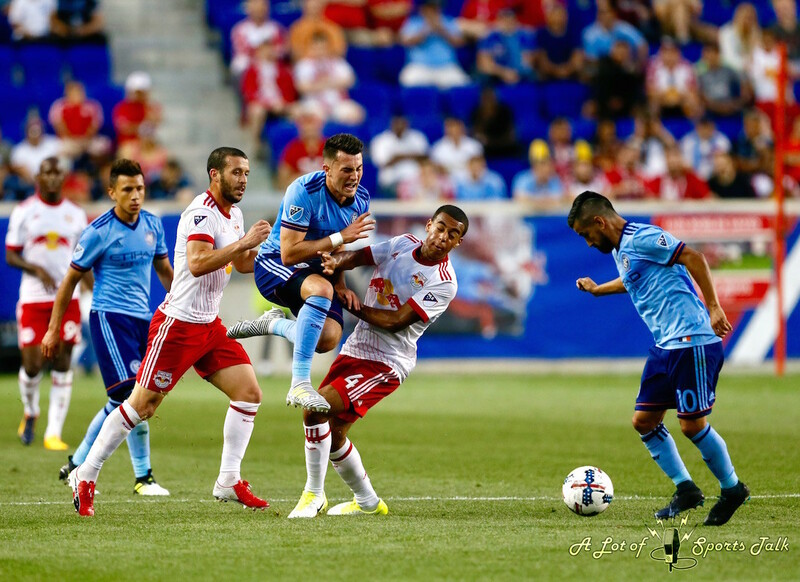 After NYCFC had the lion’s share of the best chances in the first half to score, the Red Bulls’ high-pressing style started to wear down its rivals, with an Ethan White turnover leading to Bradley Wright-Phillips bearing down on NYCFC goalkeeper Sean Johnson down the left flank. 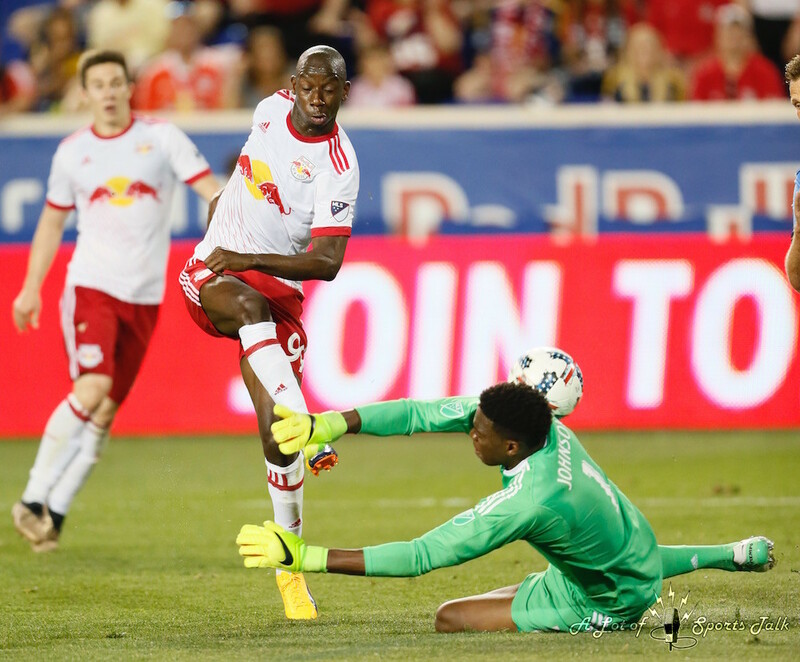 Johnson charged out of his net to make the save on Wright-Phillips, with the ball deflecting high into the air and to the other side of the six-yard box. 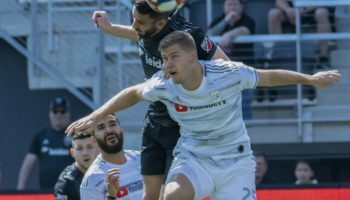 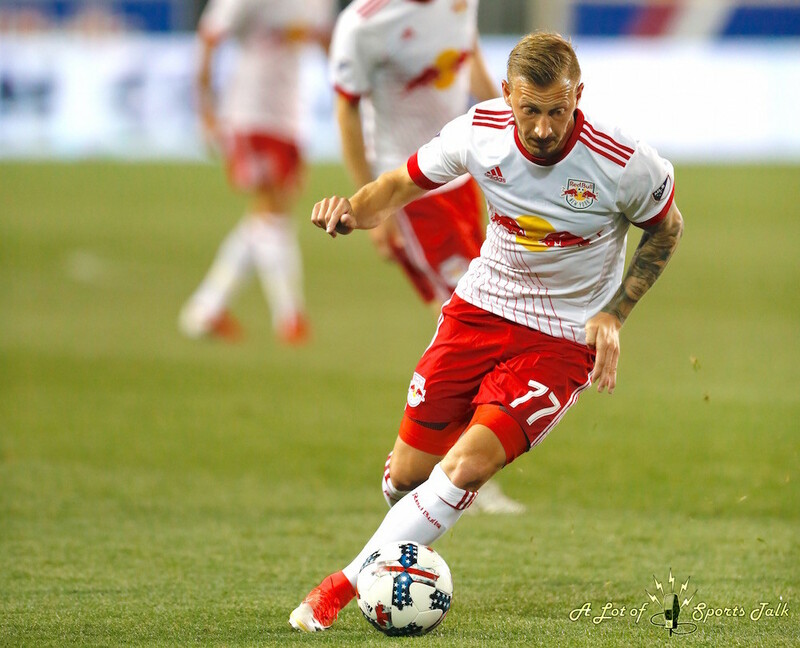 On the ball’s descent, Royer, who came on for fellow midfielder Mike Grella at halftime, was lining up to hit the ball first-time, and his remarkable left-footed volley creeped past a scrambling Johnson for the only goal of the game. 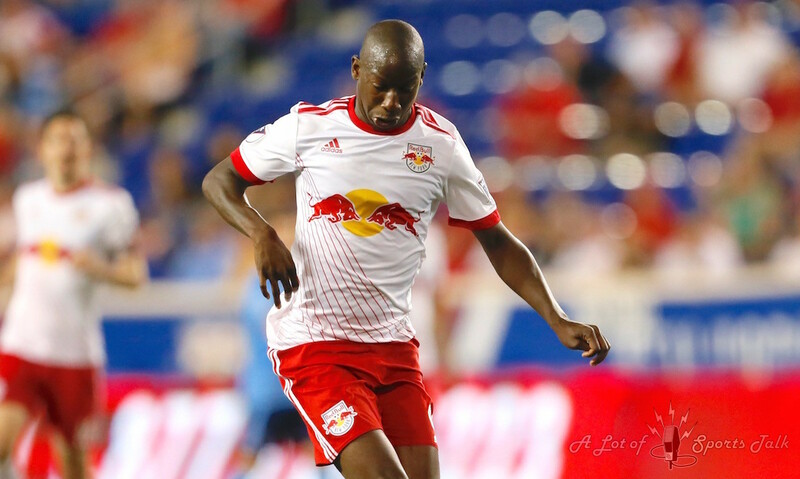 The Red Bulls’ depth at midfield makes it hard for any of the coaches to decide which ones should make the starting eleven, but they know that those who aren’t starting can make an immediate impact when coming onto the field as a substitute. 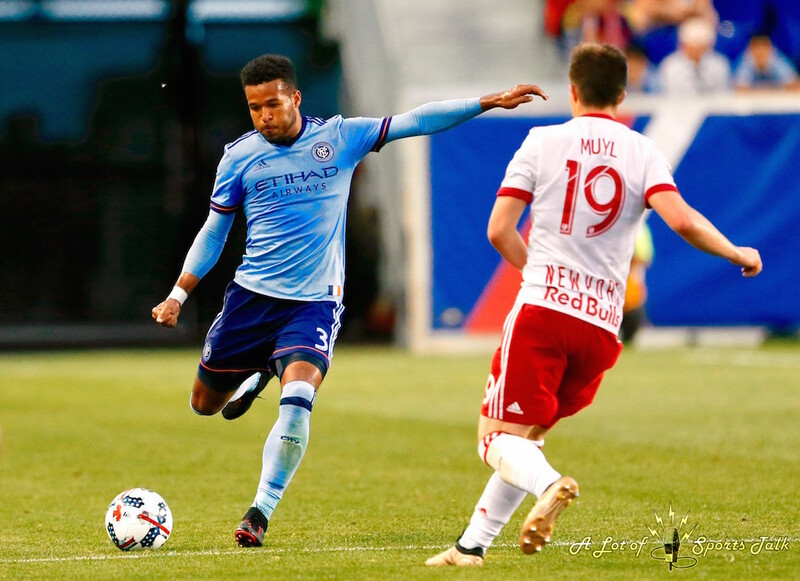 That turnaround was needed because NYCFC was the better side in the first half, and they had two glorious opportunities to open the scoring. 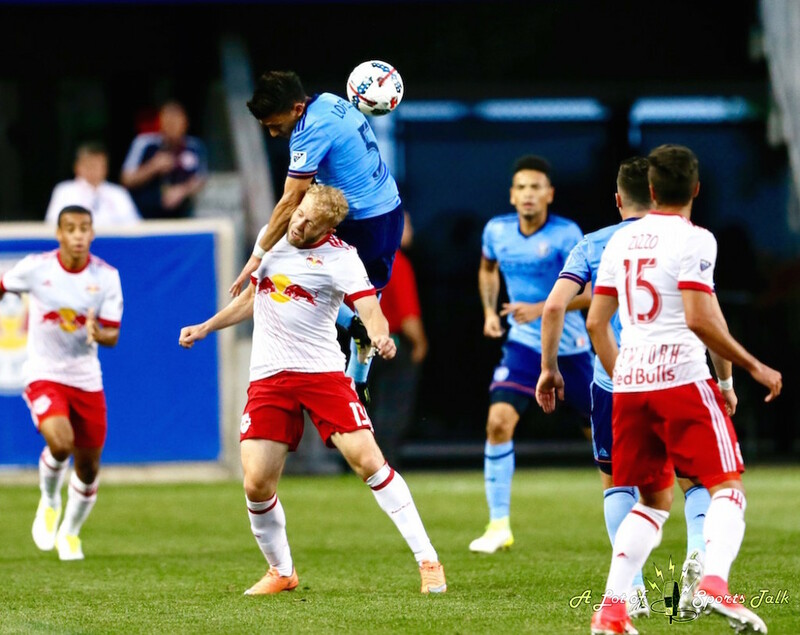 On a counterattack in the 15th minute, forward David Villa played a ball into the box for midfielder Tommy McNamara, whose left-footed strike somehow stayed out after twice hitting the underside of the bar and the goal line before it was cleared away. 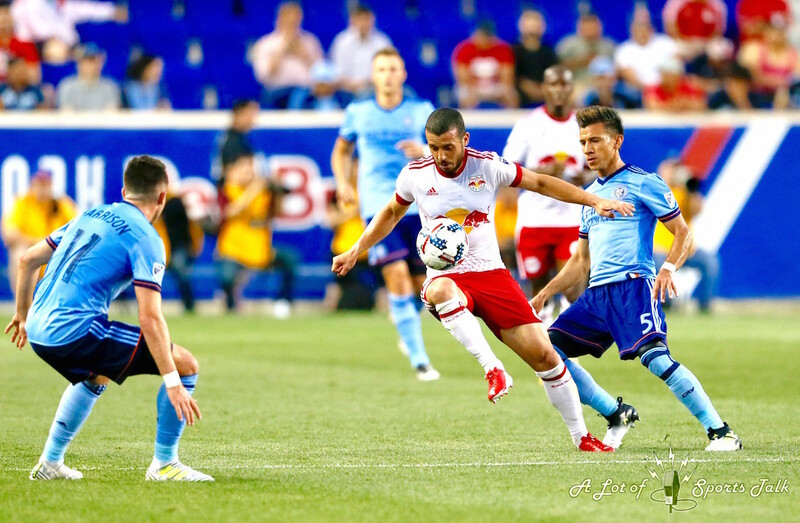 Later in the half, Villa had a right-footed strike from near the top of the box hit off the foot of the post before fortuitously bouncing back towards Red Bulls goalkeeper Ryan Meara. 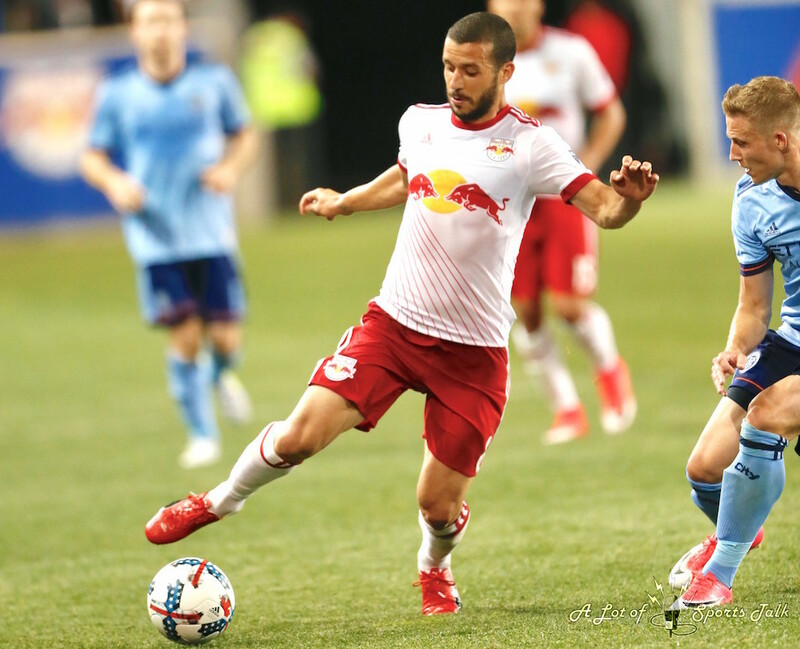 Influential midfielder Maximiliano Moralez was taken off at halftime by Vieira, with Vieira citing a calf injury as the reason for the move. 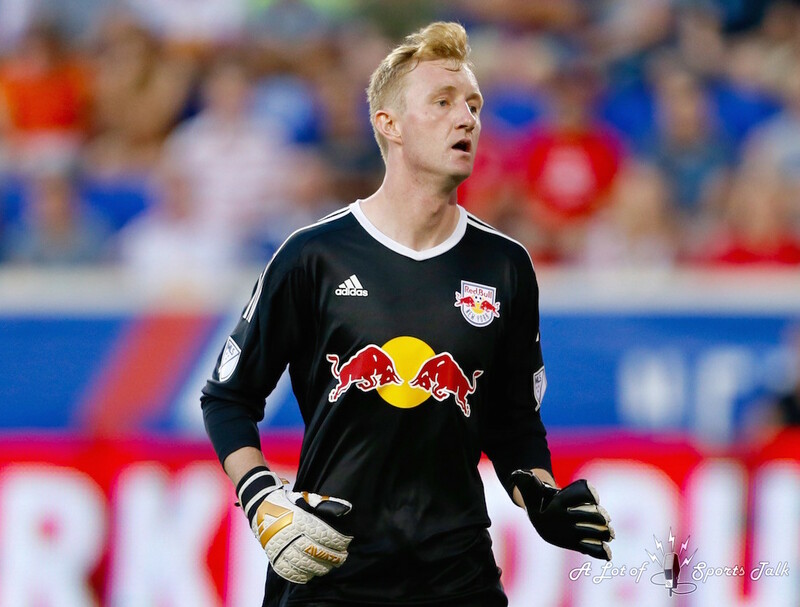 The Red Bulls move on to the fifth round of the U.S. Open Cup, and Marsch will be back on the sidelines when that next match rolls around in two weeks. 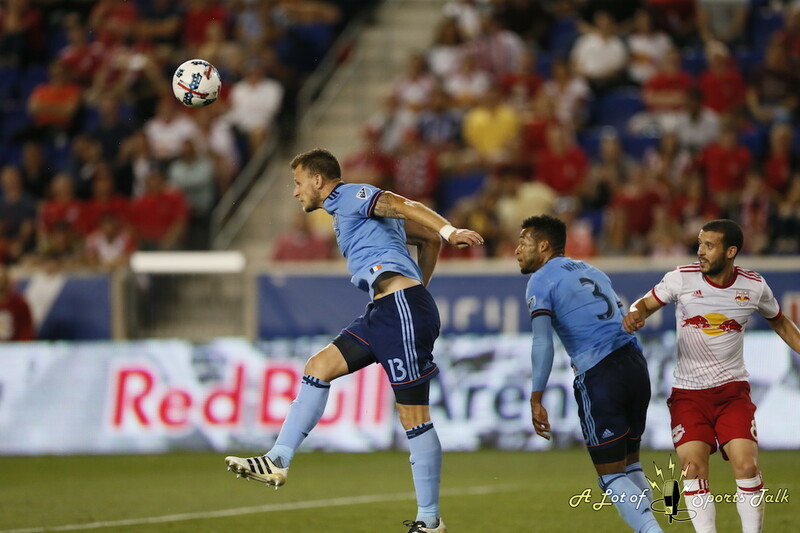 However, Marsch’s understudy make sure to enjoy the time he had as the leading man, at least for one night.